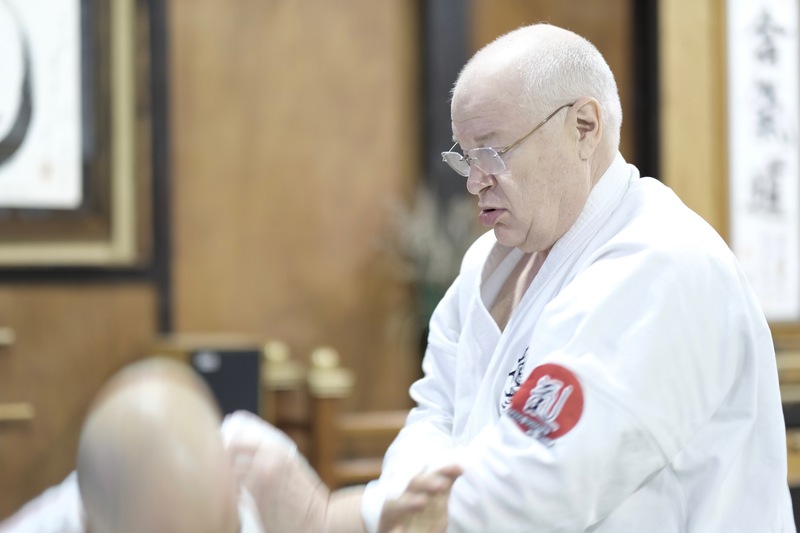 George Ledyard Sensei has been practicing aikido for over 40 years and holds the rank of 7th dan under Mitsugi Saotome Sensei as well as shodan in Daito Ryu Aiki-jujutsu. 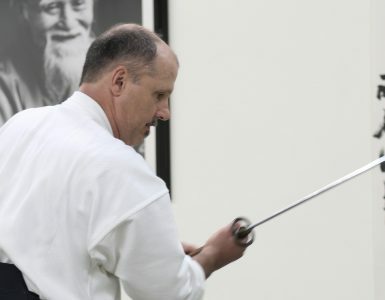 He is the chief instructor of Aikido Eastside in the Seattle area. He is a member of the Ueshiba Juku, which “connotes a direct line of ‘transmission’ from aikido founder Morihei Ueshiba through Saotome Sensei.’ He is the founder of Defensive Tactics Options™, a system of police and security training which specializes in less-than-lethal force alternatives, and Options for Protective Control™, a low-force system for physical intervention with juveniles and emotionally disturbed subjects. This is part two of an interview series with George Ledyard (part one is here). The interview is a lightly edited transcription of our most popular podcast. 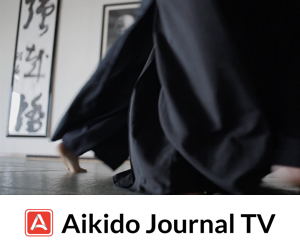 Aikido Journal (Josh Gold): Could you explain some of your thoughts about the role of uke in aikido, both physically and from a philosophical standpoint? George Ledyard: Sure. The uke‘s role is to give you feedback about what you’re doing. Initially, I think it’s really important to have a high percentage of your training working on static connection exercises. Then, over time you’ll develop that grounded, integrated structure where if somebody pushes on you, you don’t just fall over. I call this structure a platform. As you develop that platform, you find that it is movable. So as you start to use your aikido footwork for positioning, wherever you are, you still have it. You can take that platform and move it around freely in any direction and you don’t lose it. The next step is to really focus on your entries. 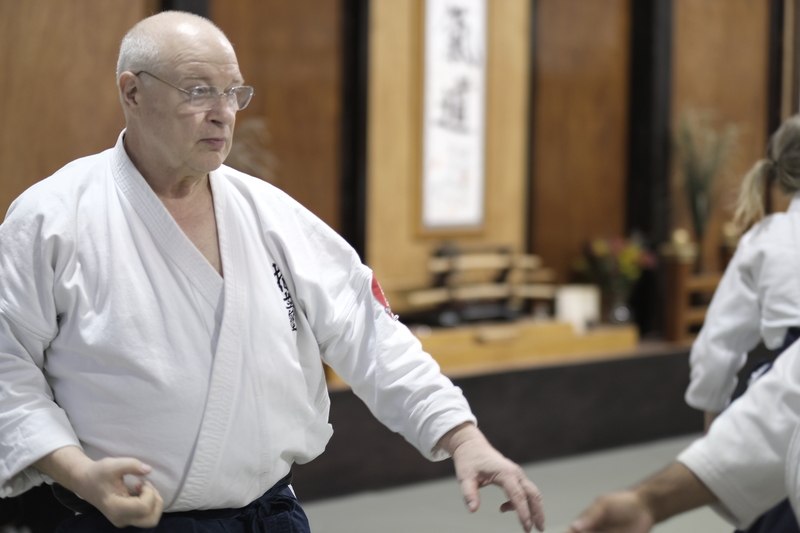 The uke comes in and tries to give you a good structured connection and you use your movement to not allow him to really get that connection to your center. Then, at the end of every entry, you should have positioning. The goal of aikido was always kuzushi [balance-breaking] on contact. That’s aiki. The encounter is over in the instant we touch. And initially, that’s physical. Eventually, and this is something that I’m just starting to play with in my own practice, that touch is more mental and the encounter is over before we physically touch. O-Sensei said it was over before the opponent even starts his attack. I think trying to understand that more deeply will be my project for the rest of my aikido career. For most of us though, the idea is to work on the whole concept that the moment that uke touches you, their balance breaks. You have kuzushi. It’s the setup for everything. And, to understand when you’ve got it right is difficult — when done right, it is effortless and you don’t feel like you’re working. And, certainly the uke does not feel like they’re really being really acted on. They just break. When what you’re shooting for is that subtle, you have to absolutely trust that your partners aren’t tanking for you, because you won’t know the difference. You won’t know if your partners are being honest in their ukemi or not. The goal of aikido was always kuzushi [balance-breaking] on contact. That’s aiki. The encounter is over in the instant we touch. You know, you have to keep insisting that your ukes stay on the program and be present and not be anticipating what’s going to happen, because the anticipation is bad for a number of reasons. Aikido practice, in one respect, is a moving meditation. It’s about being completely in the present moment. Just as a zen meditation would be, only with a lot of movement. And uke and nage both need to be this way from a safety standpoint. Most of the injuries that I ever sustained taking ukemi were from the fact that I was not in the present instant. I thought one thing was happening and it turned out I was wrong. That sensei or my partner was moving differently than I had anticipated. And that was the problem — I was anticipating. You have to be in the present instant so that you respond properly to whatever’s happening in that instant. 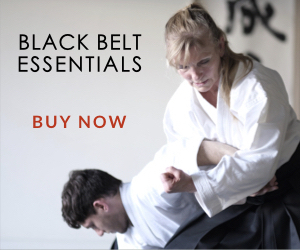 Then later on, in your practice, that begins to be how you can apply your henka-waza [technique transformation], your oya-waza [applied technique], kaeshi-waza [reversals], or other adjustments. If your partner changes something about what they’re doing, how they’re attacking, in an instant your technique should change because you’re reflecting back. You’re in that balanced state and you absolutely depend on your uke to be a good partner so that you develop these proper habits. Does that make sense? It does, sensei. Looking at this through a purely practical lens, what are some examples of how I should be behaving as uke when I’m interacting with people of different skill levels? This is a very difficult area. It takes careful consideration and attention to adjust your training so that you’re still using the proper skills and your partner’s getting the proper learning experience. But you obviously have to adjust for different levels. I’m 7th dan, and I’m still close to 300 lbs [136 kg]. If I grabbed somebody who’s more junior and I didn’t want them to move, clearly, I can do that. I can grab somebody’s wrist and make them feel like they can’t move. But, shutting people down isn’t appropriate for training. So, the way I deal with things in partner practice is, I’ll grab them and I’ll give them a really good structure. If they succeed, fine, I take the ukemi. But very often, if I give them the kind of structure that I’m capable of using, they hit the wall and they feel they can’t move. As far as I’m concerned, that was the feedback they needed. They now have felt that they have a problem. So, now I have to tone it down. I essentially start subtracting out structure. I stop using my intent quite so strongly to connect the pieces. I start to tone it down and I find the place where they can succeed. That might require some verbal feedback. This is another area where aikido practice can consider taking cues from other forms of internal power practice. In many of those disciplines, the partner’s allowed to tell you what they feel. In my dojo, in static connection training, I’m happy to get feedback. I’m happy to have a student who is maybe a nidan [second-degree black belt] who’s giving me feedback about what she feels. She can tell me I’m pushing or my shoulders are too tight. That verbal feedback back and forth is extremely helpful because sometimes you’ve got problems you don’t know about. So, the concept of “shut up and train” has some advantages, but there are also a lot of disadvantages. It can mean that you spend a lot of time spinning your wheels. With their own students, it’s very easy for a teacher to play nage. Their students fall into the habit of expecting their teacher’s stuff to work. And so pretty soon they’re just coming in and proactively starting to take the ukemi because they never actually really believed they were going to be able to get the teacher. So, to keep my ukes honest within my own student base, I periodically purposely do the technique wrong. You have to have partners who are training seriously and their only interest is in development of themselves and their partners. They have to be clean about this. Their only interest as uke is in having you succeed in really learning the technique. I have a student, Tro Ota, and she’s actually pretty much senior to me in Daito Ryu even though she’s my student in aikido. And she’s got really good structure. She understands what’s going on, so there’s no seniority in this practice. When she grabs me, if I’m screwing up, she doesn’t go, and then she tells me what she feels and I correct it. Then when I correct it, she takes the ukemi. That leads to a very fast learning curve compared to the way I trained, where Saotome Sensei did a technique and didn’t explain it much at all. He was willing to show you over and over again, but he really didn’t do verbal. I had 25 years in and I knew I wasn’t approaching what Sensei was doing. I believe there are better ways to do this and we can learn from other arts in this respect. In general, I think the Aiki-jutsu arts handle this better than aikido people do. 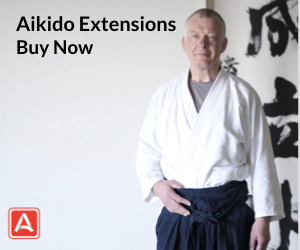 So, I’ve just introduced different training methodologies into the aikido curriculum. 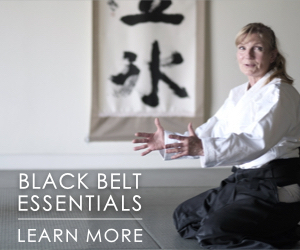 What I do is recognizable as traditional aikido, but the way we train is a bit different. When we’re doing static techniques, that verbal interchange between the two partners is permissible as long as one of them isn’t running it as an ego trip on the other one. That’s not permissible. And I will shut that down immediately if I see it happening. But I have really nice students and they don’t do that with each other. When you get feedback from somebody, they’re very sincere about it and pretty typically they’re right. When they tell you regardless of what your rank is, that your shoulder’s tightening up, you better be looking at your shoulder. That’s a really good way to train and everybody gets really involved in the training. It also gets you past all the traps of this hierarchical nonsense that we can get caught up in in aikido where people think they’re a big deal just because they’ve got a big dan rank, even if they don’t have a clue what they’re doing, We can get past that real fast when you train this way and I think it’s a much better way. I told her that I actually solicited that feedback. That person, regardless of rank, has more expertise in this particular area than me, and I want to learn. Even in my own dojo, I’ll ask people all the time, even white belts, “How does this feel? Am I able to break your balance properly?” I learn a lot from that. That’s great. I think it really needs to be part of the culture in the dojo. The teacher just needs to make sure that no one’s running ego trips on it. Right. That can lead to all kinds of toxic and unproductive interactions. It’s also is something that the teacher needs to model for people, especially when we’re doing the connection work, because that’s really where it’s important. We don’t really talk much when we’re doing movement or technique training. If we’re doing real waza [technique], that kind of feedback might be appropriate there but it’s given more when the partner asks for it. The nage will ask the uke, “How come I’m having trouble here?” When we’re doing static practice, that feedback is kind of assumed to be about helping each other and anytime somebody runs into problems the partner helps them overcome it. When I’m training with junior people, that’s exactly how I do it. I give them good attack to start with. If they run into problems then I immediately give them some tips about what they could do to solve the problem. And I also make an appropriate adjustment to how much structure I’m giving them and hopefully they got feedback about what they could do. Typically, most people, with some clear feedback, will make that correction and on the next one they’ll succeed. So we’ll do do a few repetitions where I stay at that lower level of structure until they seem like they’re really getting it. Then I start giving them a little more structure and we go until they run into problems again. At that point, we have to talk about why they’re running into problems. And once again, what you need to do with your intent or your body or whatever to not be running into the problem at that point. So, this is very much based on the Systema idea. They always go up to the point of failure. They find where that is, but they never stay there. They never do lots of repetitions of something that you can’t handle, where you’re imprinting fear, failure, or pain. The moment they hit the place where you can’t handle it, they back off, dial it down and then do a lot of repetitions at that place that’s just below your maximum level. Then they up the game again. The point is to do lots and lots of repetitions where you’re succeeding and get very few repetitions where you fail. You do not want to be practicing failure. That makes no sense as a teaching methodology. I agree with George. Too many people push themselves too much and create unnecessary struggles in the learning process. It clearly affects their levels of composure, tension, stress, and their training partners. 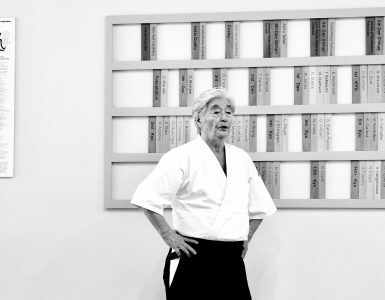 It would be a good thing if more aikido dojos adopted a policy of learning from ‘good practices’ found elsewhere, instead of seeking instruction from Japan where instruction is not to be found (in general). I wrote about the reasons why the Japanese train this what we might consider ‘blind way’ is in my upcoming ebook. 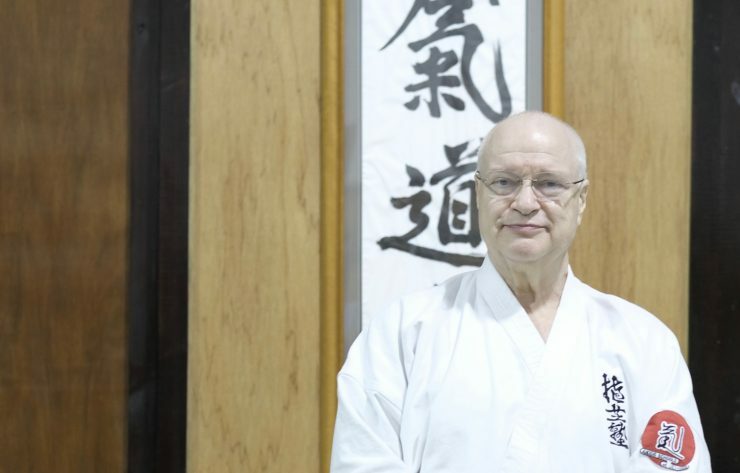 One shihan said, when receiving his 8th Dan, that he ‘never wanted to be a teacher’ and thought that ‘teaching was like childishly holding the hands of people who didn’t have the determination to learn on their own’…’no amount of instruction would turn someone lazy into a good aikidoka.’ I would wager that there are cultural reasons why this man holds these views, wedded a feeling of elitism. I think we do need to make a choice at some point as to what balance of instructing and performing we want to do as ‘aikido instructors.’ The word ‘sensei’ (often mistranslated as ‘instructor’ or ‘teacher’) doesn’t really help us here as it is a Japanese word which means ‘gone before.’ A ‘sensei’ then can interpret his position to mean someone who is and should be ahead of the curve and not be interested in leading other than through example. ‘Teaching,’ as we know it and expect it, wouldn’t be part of his vocabulary. 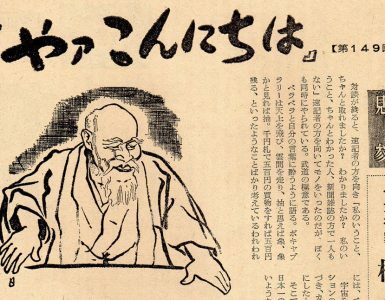 Personally, I think Ueshiba was into teaching something else entirely, what I’ve come to call an ‘eco-social model of well-being.’ As such, as George suggests, dialing down the intensity to give a beginner the feeling of a win is where it’s at. All-boats-rise-with-the-tide feeling, which to me is “Big Love”! The kind of love that instructs is no different to that which creates, IMO. It is a pity that my Shihan (Japanese) never seemed to have grasped that. 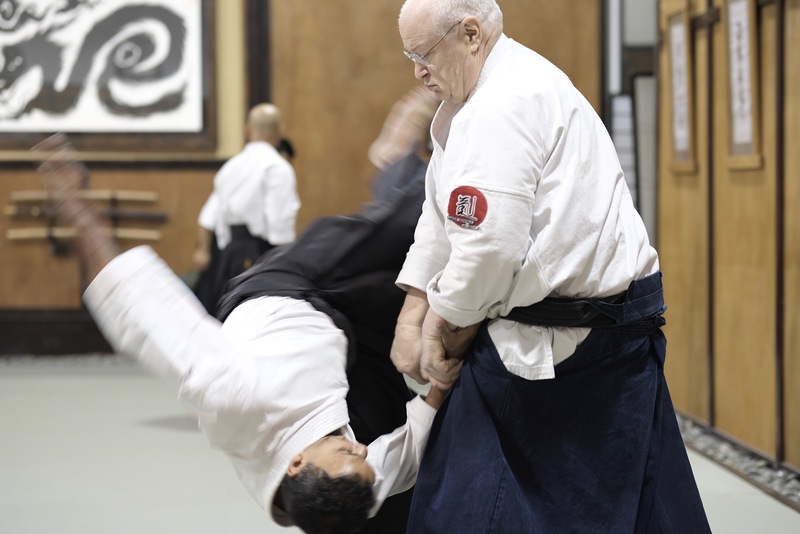 While I admire this Japanese Shihan’s technique, even his ability to find extensions to the aikido spirit in various community projects in Japan, I feel that his neglect of good instruction, combined with the mindless repetition of failures is just way too Japanesey..!